Do you often decide against going to a concert or a movie premiere because of bad weather or those popcorn-munching chatterboxes? In this case, you will benefit from buying the best AV receiver in order to build your own home theater right in your house! This way nothing will distract you from enjoying comfort and privacy, as well as awesome sound and video experience. When it comes to all multimedia equipment in your house, one device definitely stands out from the rest. If you imagine, those appliances resemble parts of a human body and connections act as nerves that transfer signals. In this network, AV receiver is undoubtedly the brain that processes data and otherwise functions as an essential hub. A good home theater receiver will make the most of your speaker set, TV, and other hardware, offering the best possible experience for your senses. However, the abundance of available models and brands may easily confuse a motivated enthusiast in search of an appropriate AV receiver. 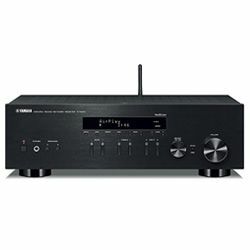 This rating presents both new and already well-known models from the AV receiver reviews. We analyzed the smashing hi-tech brand-new devices, as well as the older models that are still the number one choice for their functionality. If your 5-year-old home theater receiver manages you speaker set well and can read the commands from your smartphone, there is no need for spending another 1000 for buying a newer one. Having the same acoustic system, you might not feel any sound improvement but will definitely spend your day connecting each block to the new receiver. Still, if your soul of a movie fan requires a new, deeper hint of sound, then upgrading the whole system is inevitable. Let’s start off in the search for the best AV receiver for your needs! 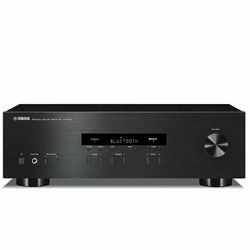 Each model represented below has won its place in the rating due to its great quality of service making it the best home receiver in its category. The home theater receiver reviews are represented in nomination blocks reflecting the price, implemented technologies, and the functionality of your best AV receiver. AV receiver with built-in Bluetooth for wireless music playback, stunning 4K Ultra HD video with HDCP 2.2 and a discrete 5.1-channel amplifier design with automatic YPAO™ calibration. For a bottom price that this device is offered at, it has rather advanced specifications. It gave good sound, though I’d like to have more distinctive bass, and sometimes, at highs, it dropped the sound. This good old-timer does not have fancy accessories like the Internet radio, not even a USB port. Still, do we need Bluetooth for playing CDs or watching old DVDs via a home theater? At the same time, this model cannot be called a retro device as it has six connector inputs and even allows connecting a phono. The selector, though, gave me troubles from the beginning - I always missed the port I needed while rotating it. Generally, the sound is OK - it sounds pure and does not feature major interference. 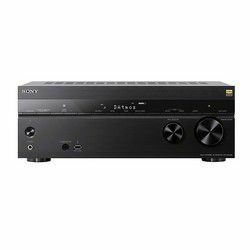 Understandably, it does not provide the best surround and other sound effects implemented in the more developed top rated receivers. Still, this somewhat old-fashioned device produces the clean juicy sound and may be titled the best budget receiver in its category (which is also confirmed by multiple stereo receiver reviews). Works perfectly at 90 Watts per channel ensuring quality sound. Small size fits any interior and space. This is the best A/V receiver for my vintage CD collection. Irregular work of the remote (I had to replug the amp in order to reestablish the connection). The original AM/FM antenna needs amplification. An object-audio-enabled receiver that fits your every need, whether you’re a sports fan, music streaming subscriber, or film buff, the TX-NR575 has the technology and high-octane power to thrill. 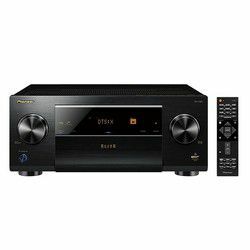 That’s the best home theater receiver to add the surround effect to your audio for half the price of an average surround sound receiver. 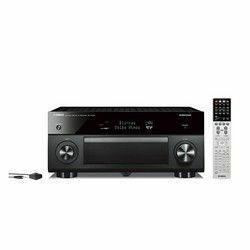 This best budget receiver supports all existing surround formats including Dolby Atmos and Dolby TrueHD 7.1. Besides, it provides powerful bass when a subwoofer is applied, even in a 5.1 system. I had some trouble tuning one of the speakers as the sound had discernible hoarseness. Yet, coming through a complete setup, the problem disappeared. By the way, this great model is a real connectivity booster. Supporting smartphone control and Chromecast makes it the best AV receiver in its class. I could adjust the volume and control the video playback staying in another room that served as Zone 2. By the way, zoning is developed perfectly. There is no interference of the signals, though, certainly, the sound is not distributed equally. Usually, the highs and back channels are transferred to Zone 2. The clear and detailed sound truly makes this model the best AV receiver under 300. Several HDMI inputs provide the fantastic effect and quick adjustment of the system. Had no problem reading the audio files from Linux. Great penetrating effect due to the quality control of the subwoofer. Default Chromecast software works with audio only. Does not fit the older systems (TVs, game consoles) with the analog signal. This low-priced device is probably the best budget receiver for TV lovers. It is configured in the way that it immediately recognizes and integrates all the system; I had no compatibility issues with interface or control. Though this product is advertised as the best AV receiver for music streaming, I’d argue it. It has good specifications, yet the sound does not feature the low tones that get you shivers and make the room vibrate. Tweaking the subwoofer options improved the sound a bit; yet, the effect is still insufficient. The sync with the 4K TV set is great, I had the amazing graphic improvement comparing to an old Pioneer receiver. The colours are rich and deep, and there are no sync lags. I like that the banana plugs are shipped with this receiver as they make the connection way much faster and more reliable. The wireless connection is perfect. I tried to control the system from my IPhone — the app works great. I watch my favorite Youtube channels and, sometimes, the online TV and can say that’s the most appropriate task for this best home theater receiver. I tried it with my old analog records and it upconverted perfectly. The Internet upgrade is a bonus. Nice modern design fitting well my standard 5.1 set and my living room. I wasn’t able to tweak the sound technologies other than through the set “sound fields”. The announced wattage does not apply to all the speakers in a set. The sound quality specs surely make this device the best surround sound receiver in its category. I am pleased with the two subwoofer outputs that really made sense for my 7.2 Klipsch system - I physically felt the penetrating basses. The Master Audio tech works just fine for regular movie watching and music listening. Connecting the speakers was easy as pie - I simply hooked up the receiver, plugged all the wires in (five stars to Denon for making six HDMI inputs) and turned the system on. The calibration was an inch to perfection. I just adjusted the subs a bit. I was slightly disappointed as I couldn’t do the tuning while watching the 4K movies - the display just wouldn’t show the menu. I tried the Spotify app for controlling the system, and it worked pretty well just out of the box; yet, sometimes, the receiver could disappear from the list. However, when I’m in range of 30 ft from the receiver, it works without issues. This device is also a winner of the “best Airplay receiver” as I forgot about the remote once I tried this app on my iPhone. It connects within half a second and provides a solid connection throughout the operation. Good power allows getting the most from the 7.2 system. Free HEOS app for wireless connection. Auto calibration spares the boring dialing. Once losing the WI-Fi connection, it takes time to reestablish it. 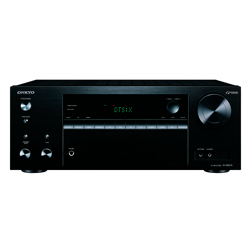 This compact AV receiver has the least number of additional functions in the nomination. Yet, it gives good value for the money. As long as you don’t use the 4K content (which it is advertised to support), there’s nothing else to wish regarding the sound and picture. For the latter, the graphics are precise and clear, the colours are deep and rich, there are no inappropriate compression issues. The unit can run the 4K resolution as well; still, the on-screen display menu does appear inappropriately and there’s no way turning it off. However, I solved the problem by using a separate remote for the primary HDMI input (a TV, in my case). The 725 W power output of this little guy makes it a forceful drive to the 5.2 system, even with two connected subwoofers. However, tuning the sub properly might become a series of poking here and there through the setup. Another drawback is the complete absence of the connectivity support. There is no way of updating the system. The Protection mode turned on unexpectedly on the device, blacking out the screen. The issue was solved by using the HDCP 2.2 compliant cable. Other than that, this model has its firm place among the basic good receivers providing good-quality surround. It delivers terrific sound in Master Audio mode. Features several sound effect fields. Comprehensive setup allows tuning each device separately. Speaker screw knobs are positioned inconveniently. A low-quality remote makes the battery discharge quickly. 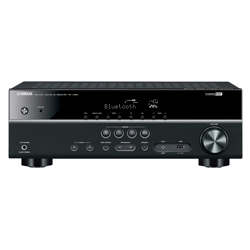 This 5.1-channel AV receiver offers Wi-Fi, Bluetooth and the latest streaming technologies. I would call this device the best home theater receiver in its category, underlining the “theater”. I tried it with the Polk Audio 7.2 set, the ceiling speaker and the sub gave a powerful penetrating sound in Dolby Atmos. The wattage is good, as it combined perfectly with my 150 W Martin-Logan subwoofer. This is a fully HDCP-compatible receiver supporting version 2.2, so the shutdown issues valid for the previous models should not make a problem anymore. The video processing is awesome for this pricing category. HDR enables the perfect graphics that are especially good for nature-themed films. The newer 4K movies were also of a nice quality, and all the supporting functions worked well. I doubt anyone has ever used less than five speakers with this device, so, the Virtual Surround is rather a marketing trick than the useful option. I had an issue while streaming music through Spotify Connect — the ceiling speaker seemed not working at all. However, some tweaking with settings and sound dispersion adjustment helped. There are no other streaming and wireless control options (such as Sirius, Pandora and so on). Overall, the networking is quite good, all the devices are linked instantly and may require the slightest adjustment. Good non-crossing setting out for the dual zone option. Bluetooth output brought awesome sound to my smartphone. No built-in smartphone remote app. Standard options, like sleep or timer, are absent. 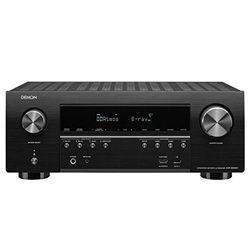 Reading the specs I was ready to call this compact AV receiver the best receiver under 500. It supports all modern formats and apps, and has great networking connectivity. It also has a decent output power of 50 W per channel that allowed getting incredible sound from my old Polk Audio 5.2 set. Since the subwoofer was absent (it died recently), the bass was been transferred to the front and side speakers equally. Upon some tweaking, I managed to adjust the array and loudness of each speaker. However, I was disappointed to find out there is no actual sound distribution control. I couldn’t send a specific thumpy rhythm of my audios to be enriched via the powerful front speaker. Still, the sound is great for mid-sized rooms. It has enough “filling” and presence and turns natural with Audyssey Dynamic. The automated calibration is nice and allows skipping the setup. The ability to label the inputs is also helpful. I named mine by the devices I used them for and the type of connection (e.g. Chrome/Sat). My Samsung 8 TV has plenty of apps and I was delighted to find out they all work perfectly with the Marantz. Nice, accurate, not too loud sound for a living room. Ability to connect an external amplifier through the special output. I managed to customize the inputs via my smartphone. Dynamic Audio Amplification delivers instantaneous high-current power to full-scale speakers for thrilling energy and lifelike transient response across a wide 5 Hz–100 kHz spectrum. I would rate this device as the best AV receiver ever if it featured the BT-TX technology. The wattage output is smashing and allows getting the best out of a 9.2 set - whatever the initial settings are. I enjoyed having eight HDMI connections; yet, considering the class of this device, there could be two more for the additional amp and / or receiver (for upgrading the system to 11.2 or higher). The online updating is an awesome feature that I believe to be the cause of the HEOS work adjustment (initially, it did not accept commands correctly through Alexa). I was glad to have this feature working when I was entangled in the wires and needed to set the ceiling speaker properly. However, the voice recognition is not perfect. It often mixes up sounds, so the commands like “Input two on” might not get through. Meanwhile, the smartphone control has a firm five-star rating. All configurations are available through Apple app that has a smart interface and reaches the device easily within the range of 50 ft. The processor does a great job mixing the soundtracks and providing the real surround with enwrapping effect. The amplification is proper and does not spoil the clarity of the primary sound. Great amplification and clarity of extra soundstage effects. Great work of the ARC — it never disconnected or made improper connections. The front USB port could be more solid — it popped out due to occasional pulling. This device lacks no features of the best home theater receiver. Its size is perfect for medium and large rooms, the design is quite appealing, and the quality is amazing. I wonder why it is not as popular as other models of receiver brands. It is a device fully packed with technology: Ethereal Dolby Surround, fully automatic setup and calibration, smart recognition, all the latest video technologies (including HDR support). Still, my somewhat non-standard set, including the side subwoofer, was not calibrated properly at once, and the sound featured some clipping at highs. I had to install the updates (a quick process via Wi-Fi) and undergo the YPAO setup again, upon which it worked fine. The networking is well-tuned, allowing all the devices to be seen in the smartphone app. However, I prefer the remote control, and this one is rather clear and simple. What’s been frustrating, the adjustment of the two HDMI inputs could be performed only through the smartphone. The remote just did not let me enter the relevant menu. Except for that issue, going through the settings on a TV or projector set is a piece of cake. I had my whole 7.2 set finely tuned in no more than half an hour. Great sound mixing with the preciseness of each track. Complete synchronization with my smartphone, even for Wi-Fi settings. The included cables might be too short for HDR. Lacks another HDMI input for an additional pre-amp (for Zone 2). I tried this device as initially the top receiver under 1000. It provides breathtaking Atmos effects and great upmixing of different Dolby formats and DTS. I learned the ways to upgrade my acoustic set from 7.1 to 7.2.4 and got an incredible effect of purest sound and penetrating rhythm. The dialogues stay comprehensible even at the lowest volumes, and all the tracks remain discrete. I liked the video upscaling option that really enhanced the picture that my old TV showed. The colors have just the right tone and balance, and the graphics are outstanding. 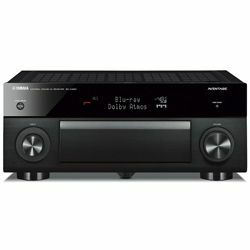 This device qualifies for being named the best home theater receiver also for its connectivity merits. All the operations can be performed through the smartphone. I configured the system having a clear picture of each device and its potential. There were no issues with recognition, though some of the equipment was 10 years old. I did not use the remote for long, as it didn’t seem fit to me. Both the design and performance are rather clumsy. That’s partly because the menu interface is rather dull and not too informative. Still, the compatibility with numerous apps allows dropping the remote completely. The network function works perfectly both for setup and operation. Clear and rich sound in different formats and modes. I enjoyed the smart Audyssey setup calibration. Needs minor adjustment while changing formats. For the perfectly easy and fast setup, I would assign this receiver no less than four stars. It has a multi-page manual; however, there is no need to study it thoroughly, as everything is can be tuned up within minutes. The automatic Audyssey calibration measures the distance and recognizes devices correctly, setting the system out quite decently. As usual with Denon, it features a free HEOS app compatibility that allows tweaking the settings and streaming from the smartphone. The receiver’s HDMI inputs and outputs work effectively, allowing for the immediate content transfer. I had to replace some of my old HDMI cables for the upgraded ones as initially the connection was not good. The sound deserves the firm five star rating, both for the stereo mode and surround. I tested it with a simple 7.1 channel system by having turned out the sub in advance and listening to the classical music concert. I noticed new instruments that I had never suspected to participate before! The video is also of a top quality, so is upscaling to 4K from even the simplest analog stream. I had no problem performing the setting and operating the device from a smartphone. Perfectly simple setup and update through the Internet. Fit for connecting an external amplifier due to the good set of pre-outs. Next to zero power consumption when in standby mode. Adjusting the Alexa app is troublesome (the controls did not work during the transmission). The Elite SC-LX801 featuring 9.2-ch Class D3 amplifier is fully-equipped for the latest multi-dimensional surround sound formats, DTS:X™ and Dolby Atmos®, featuring the Reflex Optimizer for Dolby enabled speakers. The most noticeable specification of this AV receiver is its wattage output distribution. It reaches 230 W per channel and enables the purest and deepest sound ever possible! I tried the Dolby Surround content, but it is full of other modes that are powered by Cinema DSP, DSP 3, Virtual Surround, and many more. I tried it with the 9.2 system of professional Polk speakers with the Sony subwoofer. It brought the most powerful sound and additional effects I could not achieve before with any sound receiver. The diversity of functions in this high end AV receiver amazes. However, it makes sense if you have some zest in electronics or are a devoted audiophile. Otherwise, it is probably not worth spending that much of your money, as fine-tuning and picking out the additional possibilities is no beginner’s task. Still, for the most rooms and speakers’ locations, the smart auto calibration works seamlessly. The connection of all devices is immediately recognized and reflected on your smartphone. The latter can be used both for setting the system and operating it. The receiver allows switching between the sources swiftly and does not lag. Assignment of inputs is easy and comprehensive, the settings never go astray even when the receiver is powered off due to a blackout. Neat clean sound and channel distribution — I distinctly heard the dialogues even in the multi soundtrack scenes. New-gen amplifiers ensure the presence and immersion effect. Solid size and weight must be considered while placing the receiver. This bulky and heavy AV receiver produces audacious 1100 W for output, so it can manage a 9.2 set freely. This device deserves well to be named the best AV receiver for a home theater as it provides the crisp and clean sound, and the vibes start shaking the room even on lower volumes. This receiver is great for inexperienced users not keen on AVRs or electronics generally, as the setup process is more than simple and can be performed in any convenient way. The auto setup is smart and works well; still, if you count on hearing more of the surround effects or get floored by the superb 4K graphics, there is no way around manual tuning. The device has all the connectivity in place working precisely. There are enough HDMI inputs and outputs for connecting even an 11.2 set, should you like it. The Audyssey Room Correction software that was supplied along with this product is fairly good and makes up for the most fitting placement and tuning of each device. The smartphone remote control is working fine; yet, some applications must be additionally set up for the seamless work. Highly flexible settings allow playing with configurations in order to reach the outstanding effect. Nice minimalistic design featuring a small informative panel. Extended Bluetooth connection allows streaming audio content at a distance. Smartphone apps have rather complicated setup. 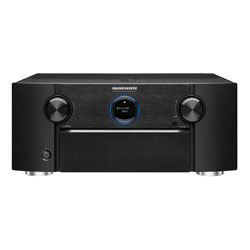 This receiver is designed to work with a 9.2 system that reveals its capacity the most. The sweeping power output of 255 W per channel makes the music streamed via DTS-X physically invade the body. The variability in impedance provides the seamless adjustment to different sound modes and allows using the 4-ohm speakers that guarantee the crispest sound. The second USB port lets me connect my security camera system without any issue regarding other inputs. The sound is great, especially on low tones and in Atmos. For music listening, I used Pure Direct, which gave me an impression of live concert presence. I also noticed the option of the video upscaling to the top quality, through this HDR receiver. As to the operational issues, I’d appreciate more information about the sound mode and source used at the moment, to be displayed on TV. I could not connect the Chromecast initially; however, installing the updates from the Internet solved the problem. I was delighted to find out this best sounding receiver features a working phono input for playing my retro vinyl player. The only disappointment was assigning the inputs. I could not figure out the way to label them, so I had to use other means in order to remember the designation of each input. The easy logical setup and calibration system. The good balance of colours and contrasts in the video. Supports SONOS connect for sweeping music immersion. The configuration could be more flexible. The routing between zones is limited. This heavy AVR has a feature that makes it a rare bird to catch, even in this pricing category, - a 4-ohm impedance. However, there are many advantages to boast about, from the smashing sound effects and all-formats support to the full configuration of the 4K video content. If you have the ceiling built-in speakers like I do, the Atmos sound will be able to sweep you away on the peak of the effects. Though the receiver is configured for managing a 9.2 system, it is equally good in sound production through 5.2.4 and 11.1 (though the latter case would benefit from an additional amp). I did not really regret the absence of the XLR pre-outs; however, having at least one port would be a perspective for the future upgrade. The connectivity works well, the Pandora streaming is fine; though when switching to another source, the current one might get the settings return to default. I really like the front-panel design of the receiver that features the control buttons as well. On my part, I did not use them, as the remote and iOS app work smartly. Real dynamics and precision of surround sound. I enjoyed full HDR compatibility. The THX certificate ensures the highest quality of sound. The remote control has poor ergonomics. No steady all-feature Chromecast support so far. This receiver’s specifications do not impress an advanced user at first as it provides the lowest wattage in its class. However, the Bose 7.2 set just rocked with it. The sound was OK when on back rhythms and highs, as well as in the fluent mode - it was crystal clear and featured fairly decent edges. There are lots of inputs and outputs, so I could easily connect all the devices I had for music and movies. I navigated the setting through the remote, but it seemed rather slow, so I switched over to the smartphone app that worked like a rocket. I had an opportunity to test both iOS and Android and can say that the latter has a more sophisticated interface and navigates better. Yet, Apple integration is also on the top level. I could tune, browse the settings, calibrate the system, assign and label the HDMI inputs, stream to and from the receiver, adjust the zoning, and so on. Besides, there is an instant sync with Alexa which I appreciated greatly. I connected my Playstation and separate controls’ set through the Bluetooth and it worked without lags. Meanwhile, the video quality is superb and the response is immediate. All that puts it in line with the best AV receivers in its class. Overwhelming theater sound out of even a 5.1.2 set. The multi-channel sophisticated processing makes each soundtrack discernible. I enhanced the sound with the help of greatly responsive customer support. No outdated inputs (for cassettes, CDs, etc.) — not fit for retro music fans. The possibilities of this relatively small professional device provide for the full 11.2 channel sound, all the effects properly registered and obvious. All necessary background sounds like laughter, vase breaking, etc. that are conveyed at lower volume and higher tone are crystal clear and highlighted in the right mode. I nearly got a sound audition effect in my home theater while I did not prepare the room for that. The frequency range is large ensuring there is no fuzzy sound even on high tones. I tried it with a bit outdated set of Polk series speakers and a Bose subwoofer, paired with the 7-channels Creston amplifier, and I also connected my new 4K Apple TV, so I had to use many cables. I had an issue deciding which input to assign for the amp, and I solved it immediately through one call to the customer support. This model has lots of inputs and outputs making sure all my devices (which make 15 units of home entertainment system) are connected and matched correctly. Setting up is easy, though I preferred to undergo a full procedure with the remote. There is an option of doing that via an Apple application, but I found it rather clunky. Great HDR and 4K support, especially regarding the colour balance. Good etching on turntable sounds. The remote is equipped for two-zone control. The auto-update feature has been disabled initially. The setup menu requires a thorough technical insight into it. Absolute quality for when the very best is your option. 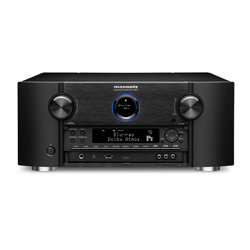 With years of expertise in designing audio / video receivers and preamplifier processors, Yamaha has gone a step further with its highest offering in the AVENTAGE lineup. This is the best AV receiver for advanced technologies. It has amazing operational wattage (65 W) compared with the output power (1100 W). It has all the bells and whistles the best AV receiver must feature. The ASR technology works perfectly once it is tuned properly. Voice commands are discerned correctly; I did not have any issue with them. 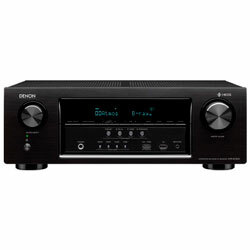 It is also the best home theater receiver so far as the AV receivers are concerned. Yamaha has developed its own room calibration system recently, and it works superbly taking into account also the required wattage and physical position of the speakers, as well as their compatibility with each other. The surround sound works on the Cinema DSP HD3, and it gets you enveloped completely! The presence is overwhelming, while the sound is warm and natural, and the toning edges are worked out perfectly. The whole setup process is intuitive; yet, to adjust it to the needs of an advanced user, I would recommend going through the standard remote setup. For that, adjust the frequency and wattage first, based on the lowest wattage your speakers have. Still, the setting is not a strong feature in this receiver. It took several days to fine tune the system. Supports the newest version of the 4K and HDR formats. Intuitive menu and control features. Using non-HDCP 2.2 compliant cables might result in no signal. The EQ interface could be more informative (stating the source of the content). The first thing I noticed from the AV receiver reviews is that this device can be overheated easily. It did actually get hot after I watched two full-time movies on my home theater set. Yet, a 15-minutes break gave it a needed time for cooling down. Suppose for the future-proof operation it would be wise to match it with the good fan or A/C. It maintains 4-ohm impedance, which allows using it with the speakers of almost any type. What I liked the most was its performance in the Atmos mode. Both video and audio streams were superb, the detailing was perfect. When it came to surround I was overwhelmed with the enwrapping effect! It makes each channel sound yet more clearly and gave a precise distinction to every word in dialogues. This also works with the less modern technologies like Master Audio and the stereo signal, as the sound is produced without humming even at 60 W per channel. I tried it with a 11.2 set of Bose and could not remember having such a sharp feeling of sound texture ever before. The fine-tuning might become a bit of guessing and poking due to rather a cumbersome menu interface. Perfectly supports all existing sound formats. Has good non-crossing signal distribution between the inputs. When managing the device through the Apple software, some functions were unavailable. The design could be more sophisticated considering the price. It is the best high-end AV receiver for many reasons. The solid build, nice programmable functions, and the versatility of options make this top of electronic engineering device a real future proof thing. The updates of the main and secondary sound modes are available along with the improved compatibility with newer versions of apps. It provides a great power output, letting my 11.1.2 system sound like one complex sophisticated orchestra, with the clear line of each instrument. The surround sound can blow up your mind once it is set up properly. The setup is easy but time-consuming. Adjusting and controlling tons of tiny features might be boring. Still, in the end, you get the unrivalled Atmos aural vibe supported by the full 4K graphics. I greatly enjoyed the way the menu is displayed on my Samsung 8 TV. It has just the right balance of transparency in order to be visible yet not interfering with the main display. I also enjoyed the radio station broadcast via the Internet and the possibility to tweak the options for each separate source. Handy connectors and ports for reliable connection. All the existing surround sound modes work flawlessly. The stylish design is a perfect match for my home theater. Rather large, so might not fit for the mid-size home theater. This model of an AV receiver over 2000 has an outstanding wattage-per-channel capability (up to 255 W). This allows it to produce the punchy sound with the inimitable boosting power. It has just enough ports for connecting everything I might deem necessary for my home entertainment, and features all options that belong to this home receiver class. I was surprised that it is mid-sized but extremely heavy. Still, it’s not the thing to carry around much. I tested it with Atmos as this is the very technology the best AV receivers are acquired for. It was a full immersion, the sound came in waves of the clean multi-channel stream and the powerful enveloping surround. I had one 125 W subwoofer mounted to the ceiling that produced the distinct steady pleasant bass without fuzzing or any other side effect. I did not spend much time tuning the system - the setup is quite comprehensive; though, certainly, dealing with eleven speakers and two subs would last more than setting up two channels only. The setup option is not reflected on the screen at once - it must be the user’s initiative to undergo it. The Built-in Chromecast and many Internet-powered apps make the operation easy as pie. All the HDMI inputs support HDCP 2.2 protection. Solid built with a good ventilation system. Panel-covered buttons match the minimalistic design. Only a few sound modes. The R-N303 is the perfect blend of technology and timeless design elegance. Discover what amplifier is best for your turntable, and learn the difference with our review of Best receivers for Vinyl. 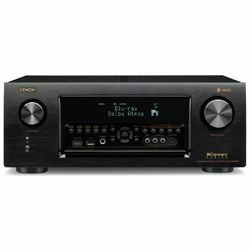 This device is without a doubt the best budget stereo receiver. It supports all existing sound formats except for surround sound and offers the decent 180 W per channel output that is enough to make any speakers produce great sound. Its main feature is the perfectly adjusted Bluetooth technology. It worked seamlessly while I was streaming music through Pandora. The sound was clear and natural. The distance does not make an issue, too. Even at 120 ft, I easily succeeded in switching the volume on the receiver. The device has a lot of audio connectors that allow having each speaker linked separately. Setting up the receiver is a no-brainer, it’s quite easy to adjust the volume and frequency for the desired sound quality. A great feature is the ability to handle two different zones. I used two different sets of speakers and never experienced the cross-assignment of commands or other errors. Separate control for each channel allows tuning in the process of listening. Smart auto turning off function. The speaker cables are rather short. This device is justly rated among top audio receivers due to its functionality and nice sound free from distortion. I used all of its outputs for my set of Klipsch speakers and a Bose subwoofer. The sound is fine both on high and down volumes. I liked the implemented tone control feature that allows cutting down the tonal circuitry; though, sometimes, it seems that the sound lacks the warmth. 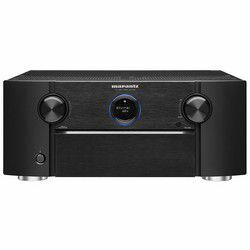 The subwoofer output is a great enhancement in this class of AV receivers, as it allows getting a completely different feeling of low tones. I tried some of the surround effects and was pleased with the sound dispersion and precise main channel sound. This model also allows distributing the bass, which is a very handy option if you’re using a sub, as I did. I did the set up very fast, tuning all the main stereo components with the remote. This might be the best AV receiver but for the complete absence of connectivity. I was annoyed by not being able to connect it to my smartphone other than with a cable, which means limited motion. I tried the FM antenna and was surprised by the good and steady reception and clear sound. The remote is convenient, allocating the volume control away from other buttons is a great idea. I could get it down within seconds not even looking at the remote. Enhanced and more detailed sound control. I adjusted the brightness of the display to my liking. I connected my iPad through the RCA input and it worked perfectly. Plastic knobs might become an issue eventually. This best home theater receiver for a 5.1 system is designed to meet the preferences of its owner. The setting took some time; yet, it was a piece of cake. It was great to choose between the parameters and hear the sound getting blurred or sharp, disperse or compressed into one powerful stream. I appreciated the receiver’s work in True HD — the colours were fantastic, the details were rich, and graphics were beyond praise. The 4K did not work at first, it required tweaking with input options to set it properly. However, the gaming experience on my PS4 was totally worth it. I was a bit disappointed to find out this device does not support WAV and some other older sound formats, as I still have some records encoded in them. Still, a good RCA is the solution so far as I have my PC and VHS player working. The surround amazes with the powerful surge and low basses physically penetrating the room. Another great feature is the headphones surround. I can enjoy the great sound presence without waking up my household. It would be good to have more connectivity options in this device as the Wi-Fi connection would enable new apps and updates. Still, I believe there’s quite a lot already for the price. Good Bluetooth range and steady work. I labeled the inputs for the connected components. Variety of sound modes to choose. The 4K settings are not initially enabled — had to do it manually. I’d appreciate a more modern menu interface. This device is definitely the best 5.1 receiver for the options it provides. First of all, hooking it up is a pleasure as there is no economy on Banana jacks and all the connecting ports are solid and firm. The cables are HDCP-compliant, so there is no need to worry about something not working properly. I appreciated the Music Cast wireless transmission, as I have the compatible speakers. The sound was nice, very pure and edgy right where needed, while the surround simply swept me away with its low-going vibrating tones! I spend some time setting the system, as the setup menu offers multiple options for controlling the sound and picture. I tried the auto calibration and it worked well; yet, needed further adjustment inline with my sound preference. I loved the immediate HDR implementation and the no-lag performance with my Playstation. I also connected my wireless headphones via Bluetooth and enjoyed the clear multi-channel broadcast. I tried this receiver with the plasma TV and new OLED, both working fine and producing great graphics and colour balance. I connected my old Sirius for streaming the music and was pleased with the seamless integration. No delays, no errors whatsoever. On-screen display of the inputs. Good power output allowing for versatile speaker choice. MusicCast is compatible with a predetermined set of speakers only. I also tested the Front Stage Surround with my old set of 2.1 Sony speakers. It might be a great solution for the small rooms, giving vibrating warm bass and a good presence effect. I customized the settings for the sound modes I prefer, managing to get the super clear dialogues in the TrueHD version. The night version mode hushing the effects and outlining the voices also works perfectly. Besides, this is quite a decent AV receiver for gaming; the picture, sound and game speed were on top during my network Playstation games. Easy and smart configuration menu. Reliable Bluetooth connection with a good range. I synced my Playstation to work in surround mode. Poor quality of wire connection (bare stripped wires). The enhanced sound setting technology makes this device the best 7.1 receiver. The calibration tech works fine, especially in measuring the distance and assigning frequency. However, for the perfect immersion, I’d advise performing the setting on your own. The mid/bass must be redirected to the subwoofer, while other speakers must be set for higher tones’ reproduction. There are a lot of HDMI inputs on this device so I connected an acoustic system and a gaming console on a constant basis. Besides, the Bluetooth and wireless connectivity is of a high quality, though the modern “heavy” formats must be handled through cable connection. This receiver supports multiple applications for streaming music and video content. I tried Google Cast and Sirius and was pleased with the integration. I also used my iPhone for the quick settings adjustment (like volume control, switching between the components, etc. ), which was fast and efficient. The sound is bright in any mode selected, while I disabled the Cinema filter for getting more powerful sound impact at lower tones. Great 3D sound effect in the Atmos mode. Smart “quick menu” for operational controls. Only a few preset sound modes available. The first thing to mark in this reliable 7.2 receiver is its considerable power output. It can boost your speakers up to 145 W and get the house rock and vibrate! The compensation of the low price is the absence of the wireless options and thus, the apps and sound modes updates are disabled. I don’t like that there are the stripped connections for HDMI, so I used ARC for connecting my Samsung 8 TV to this receiver. The sound is wraparound and rich, it gives just the very tint of warmth I like and slight curves at highs that make an elegant impression. The subs boost the effect unbelievably, making the presence full. Setting all the components does require time, but, once this device is tuned up, it does not require further meddling with. I liked that the remote is small and doesn’t have too many buttons, as the menu is straightforward and comprehensive. The sound fields are fewer than with other receivers, but they cover the most popular modes like “movie watching”, “music listening”, “headphones”, “night mode”, and so on. I integrated the Amazon Dot as a hub for three of my speakers and it worked seamlessly, no lip sync errors or sound deterioration comparing to the direct connections of other speakers. Easy connection of components thanks to clamp connectors. No heat emission comparing to predecessors. Two front speakers are located too close to each other. The size of this powerful acoustic and video hub can mislead from the beginning. The device is rather small and looks like it was designed to fit a small living room. However, turning the projector on, you will see that this one has real power! Used the Bic America F12 with it and got blown away by the consistent rich bass and lightning-like impact. The good news is that this receiver is indeed the best 9.1 receiver, but it can do 9.2, too. There are two subwoofer’ outputs and a smart MCACC integrated subwoofer equaliser allowing programming each output separately. Thus, the location of the subs can be different and various sound patterns can be reached. With my single sub, I managed to tune the system into complete clarity of the sound. The speakers tuning is also enriched by the enhanced phase control. I spent a lot of time setting that up, yet managed to receive the zero phase distortion and the crystal clean sound through all the channels. Having the Atmos added to the menu is a nice addition, very handy. I regret that there is no connectivity through Bluetooth / Wi-Fi. Smart navigation in quick menus. HDCP version is 1.4 (while most of the modern equipment have 2.2). Quality two-channel stereo receivers are the optimal choice for the music listening. If you are not going to watch movies, play games or use your speaker set otherwise than for music listening, a two-channel stereo receiver can become a practical purchase. However, you might like doing all that in the future, so having a powerful video-compliant home theater receiver would be a great option. This receiver has everything that might be needed for music listening without any extras. It has an advanced sound processing system and the enhanced connectivity. This one has already been named the best AV receiver, in the category of the Best stereo receivers. Thus, it has two awards on our list. With this receiver, the manual setup can tweak almost any stage and parameter of the sound production. The auto calibration is advanced, allowing to receive the optimal effect from the acoustic set. This device has participated in Best AV receiver under 500 and won The Best Dolby Atmos Receiver nomination. This receiver can manage 11 channels and is capable to mix them into a harmonious orchestra. It integrates well with the streaming devices like Alexa, Sirius, etc., if provided with the relevant updates. 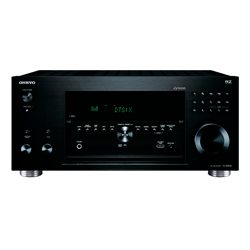 It also participated in the nominations AV receiver under 1000 and Atmos receiver. In this nomination, only the receivers that are compatible with the surround sound systems are eligible. The ability to handle the speakers and connect the subwoofers, controlling the frequency and power of each speaker / sub, compatibility with multi-channel and surround sound software make the must-have elements for this nomination. This receiver has everything there is to provide the juicy overwhelming sound. It is a 7.2 channel system designed to support two subwoofers. Though the receiver is quite powerful, its peculiarity lies in providing the rich yet not too loud sound on account of the advanced bass dispersion technology. It participated in the Best AV receiver under 500 nomination where I described its features in details. The Yamaha receiver features great connectivity, which provides for the ample updating of its sound modes. Besides, it has a phono input enabling to connect turntables as well. Overall, it produces great surround effect, though setting the subwoofer properly might take time. 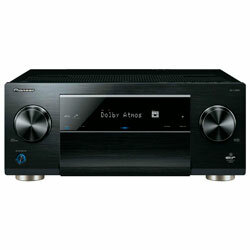 This receiver’s description can be found also in the nomination Best AV Receiver under 1000. This receiver has many tiny details that sum up to the great surround experience. It has a smart straightforward setup allowing calibrating each component independently. The thoroughly worked out sound fields for the stage music, concert hall, and home cinema provide the detailed crisp sound with the powerful attack of the subwoofer bass. 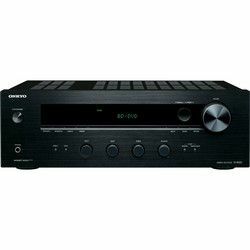 This receiver’s detailed specifications can also be found under the heading Best AV receiver under 2000. 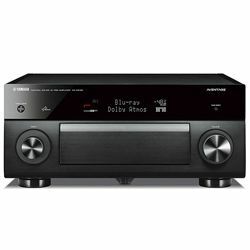 Here, only the AV receivers supporting Atmos Surround mode are included. The considered parameters are the sound quality and the compatibility with the Atmos-powered products. The important condition is the ability to handle three-dimensional sound and calibrate the devices with its regard. The smashing power output of this receiver allows Atmos technology to develop the crystal clear and powerfully emerging and immersing sound. The system of handling and calibrating each device works perfectly to enable the superior Atmos effect. Plus, this receiver is a participant of nominations Best AV receiver under 500 and Best AV receiver for music. This receiver has a powerful processor providing for the detailed and pure sound output for each channel and the smart mixing for the surround effect. The vertical speaker calibration is easy and can be performed in the automatic mode. Meet this receiver in two other nominations as Best AV receiver under 2000 and Best AV receiver for music. How does AV Receiver Function? What does the Channels Number Mean? How to Place the AV Receiver? Is the Room Calibration Necessary? Do I Need the Multi-Room Wireless Speakers? What the 4K Stands For? Will the Upconverting and Upscaling Help? Is Alexa Software Better than Google Home? The AV receiver is a hub of your stereo or home theater or any other entertainment system. It receives the signals (both video and audio) from all sources, processes them (decodes, amplifies, adjusts frequency, etc.) and sends them to the relevant system components. For the complex modes (like surround sound), it uses various decoders to split the sound into the separate soundtracks and amplify each one accordingly. The digits like 2.1, 5.1, etc. serve for indicating the number of speakers and subwoofers that the current receiver may handle. The first number goes for speakers and the second one (after the dot) for subwoofers. The standard surround sound systems are 5.1 and 7.1, however, many receivers on our list have the additional outputs and software for working out the additional subwoofers (5.2, 9.2 and so on). In total, the number of channels equals the sum of the two digits. That is, the 9.2 system actually handles 11 channels (9 speakers and 2 subwoofers). The number of channels in your receiver specification might well exceed the number of speakers and subs you are going to use but should not go below it (i.e., for your 5.1 speakers set you can use the 9.2 AV receiver). The power specifications of the AV receivers usually contain three lines: power consumption, power output and wattage supplied per channel. For the sound quality, the last one matters. It shows whether the receiver matches certain speakers, how loud can the speaker work and which territory it can cover. However, there is no direct proportion “power - loudness”. What most non-techie buyers should know is that the 50-100 W per channel are more than enough for an average-sized home theater room. Other factors to be considered are frequency and impedance per channel. They must match in the receiver and the speakers. How to Place the AV Receiver in Order to Get the Best out of It? Well, provided your cables are long enough, the physical position of the receiver does not mean much, from the technical point of view. Still, its hub function entails its placement into the center of the speakers / TV / media and other devices set. At the same time, the out-of-fashion design of some receivers make users shove them away from sight, sometimes into the cabinets. While positioning the receiver, note the proper ventilation is essential. Overheating is the common trouble in these complex electronic devices, so they should have some room to dissipate the heat. Give your receiver a “breath” ensuring there are at least two inches of the free space around the device. If you cannot place the receiver into an open well-ventilated cabinet, make sure to pair it with a powerful A/C unit or cooling system. When talking or playing music in two different rooms, one might notice the sound is not alike, though the instrument and the voice are the same. The size of the room, the material of the walls, surface texture of other objects affect the sound flow and resonance. That’s why it is recommended to perform a room calibration setting of each component of the acoustic system to achieve the optimal mode for each particular room. 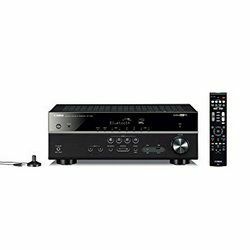 The modern advanced AV receivers have the function of the automatic room calibration, which is performed by means of sending the signals to each speaker separately and receiving the response via the special built-in microphone. Then, it adjusts the sound so each speaker produces it optimally. Without such a useful option, a manual calibration of receivers can be performed. Going Beyond: Do I Need the Multi-Room Wireless Speakers? Today, some of the AV receiver producers offer a new option of the connecting speaker sets wirelessly to a receiver. This is performed via the special software (like Heos, Music Cast, YPAO, etc.) that also allows setting up the components and operating them through the wireless connection. This option allows placing a speaker set at a distance from a receiver and using a wireless receiver for two sets - one wireless and one connected through cables. That is the format of information transmission that allows sending over the larger bits of data, both audio and visual, as well as the control information, in the non-compressed digital form. For the visual data, it concerns the 4K content and the HDR video format. For the sound, it allows transmitting not only direct sound but the surround audio as well. The HDMI number (1.4, 2.2) means the current version of HDMI. The bigger the number is, the more data can be transmitted and the higher speed is used. It is a screen resolution that nears the 4 thousand pixels (hence the name). The actual number is different for various digital movie standards, while the most frequent one makes 3840 x 2160 (full 4K - 4096 x 3072). This resolution enables better sharpness of the graphics more vivid colours and more developed brightness balance. 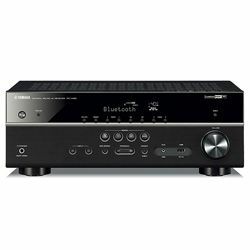 Most of the modern best AV receivers support this format and have special decoders that allow the content of the lower resolution to be represented on the 4K-powered devices (like modern TV sets). It implies that your actual TV size does not matter; you will have a more distinct picture as at least 3840 by 2160 pixels will be present on the screen. Many modern electronic devices, including AV receivers, have the indication of the “upconverting” or “upscaling” capability, which is basically the same. Upconverting is performed when the device works in the more up-to-date format than the data it is supposed to process. Upscaling includes processing the data and adjusting it to the representation on the current device. However, it cannot noticeably improve the quality of the data provided. It will have nearly the same quality, only represented in the larger scale. The answer depends on your practical needs and the purpose you use the AV receiver for. If it is listening to the stereo music, this would require fewer connection ports. For surround sound and additional devices (like Blu-Ray player, game console, etc.) you will need more. The principal connection format used nowadays is HDMI, so pay attention to the number of those ports. There are usually about six input HDMI ports (for connecting the speakers) and 1-3 output ones (for sending data to a device like a TV). The inscription in the receiver specification will mention these numbers divided by a slash: 6/1 will mean there are six inputs and one output. If it goes like 5 1/1, then, one HDMI input is to be found on the front panel of the receiver (while other five and the output are situated on the rear of the receiver). So, apart from the designated speakers’ number (e.g., 5.1.2), you can connect your AV receiver to five or more devices (like a security camera, gaming console, additional amp, etc.). Is Alexa Software Better than Google Home for Operating the AV Receiver? The next-gen AV receivers are compatible with the software systems that allow controlling the receiver through voice commands. It seems very handy; yet, this system is not completely developed yet. The voice recognition might not be perfect, an accent or other articulation peculiarities might lead to the improper processing of the command. After all, it is impossible to handle when the sound level is high. So, it is advisable to have an option of the remote / smartphone control as well. If there is no built-in Alexa available, you can use this option by means of a smart speaker (e.g., a Google Home) matching your receiver. Which is Way Over the Head: Dolby Atmos or DTS:X? These are the most modern sound formats that deal with the three-dimensional sound including the height dimension. With Atmos, it is implied that your acoustic set is equipped with the special Atmos-powered up-firing or ceiling-installed speakers. The DTS:X is operated in regular surround sound sets. These technologies imply that the special sounds to be processed in three dimensions are included in the soundtrack. AV Receiver Brands - Whom to Go With? The variety of the specs and the functions of the modern best AV receivers enables the optimal choice for any user. Every reputable producer has different lines of products differing in price, compatibility, functions, and so on. 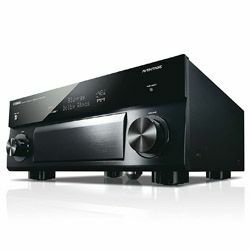 The most popular AV receiver brands with the over-the-decade reputation are Denon, Yamaha, Marantz, Onkyo, Pioneer, Sony, and Harman Kardon. How do I make my reviews? 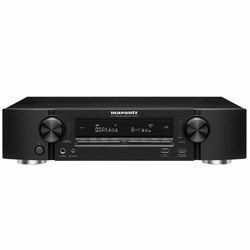 How to Connect the AV Receiver Properly? What is an Integrated Amplifier? 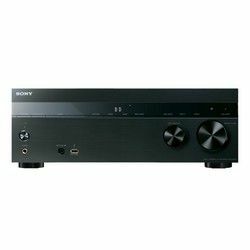 To compile the list of the optimal AV receivers for the home theater, I tried each model during the day with the different content and different acoustic sets. I considered the specifications and capabilities of each receiver. The receivers are represented in the nominations with regard to their pricing, performance, and customer satisfaction. Make sure the receiver and other components are unplugged. Prepare the HDMI cables, the speaker cables (no less than 16 gauge), the RCA cable. Get to the rear panel of your receiver. Connect the additional devices (like a game console or a VHS, or Blu-Ray disc player) to the HDMI “In” port using the HDMI cable. Connect the speakers to their designated ports. Some producers include banana plugs that are very handy to connect. If there is just a wire, unscrew the plastic cap and insert the wire. Watch the colour: the red wire goes into the red connection ( ), the black one - into the black port (-). There are no exceptions from this rule. With RCA cable, connect the Subwoofer to the Pre-Out port. Connect the projector or TV to the HDMI “Out” port using the HDMI cable. Plug in the receiver, subwoofer, and other components. Turn on the receiver and TV. Set the video and sound if needed. Then, proceed to another component via the setting menu (you can use the remote control or your smartphone for that). What is the Difference between an AV Receiver and AV Amplifier? An AV amplifier is designed for amplification of an audio channel. It boosts the sound making it purer and more detailed, louder. An AV receiver processes video too. Thus, a receiver is a more complex object dealing with the two types of signals. Besides, an AV receiver can work out the AM/FM radio signals (and that’s where the name “receiver” comes from). An integrated amplifier is a device for empowering the sound, making it louder and more precise. An Integrated amplifier consists of the preamp amp. A preamp performs the initial reception of the signal and initial sound amplification. Then, the sound is transmitted to an amplifier, which boosts it further and sends it to the speakers. Would there be no amplifier, the speakers would not be able to produce the sound properly. Any AV receiver necessarily has an integrated amplifier (and also the radio reception device, as I mentioned above). 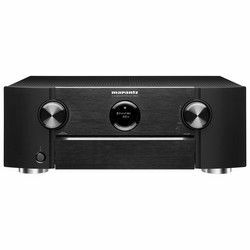 Do I Need a Stereo Receiver or a Surround Sound Receiver? The answer, again, lies in the field of the practical purpose. If your main goal is listening to the music, then, there is no use in spending several times more money for a more expensive model handling surround sound. If you have or plan to acquire a surround sound system set, then an AV receiver with this function is a must-have for you. 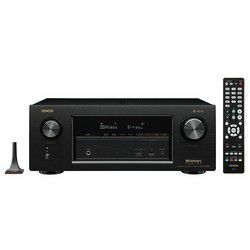 Mind that dedicated stereo receivers usually produce better sound out of the Hi-Fi format, while the more advanced surround sound models can also process the older formats. Indicates the standard of the Ultra HD visual format. It implies higher resolution (as a 4K format), larger depth (10/12 bit) and frame rate 960-120 frames per second), wider colour palette, and the chroma subsampling up to 4:4:4, in comparison to the older Full HD format. It is accepted as the next common video standard worldwide. An abbreviation for the commercial organization that aims to set up the same standards for the digital video worldwide, Digital Living Network Alliance. The devices meeting the standard are labeled DLNA-certified and must be mutually compatible and will be able to share the data within a network. For that, a separate DLNA service is created that is common for DLNA-connected devices like laptops, drawing tablets, smartphones, AV receivers, etc. Video format, which is a next step after the HDR technique and features wider dynamic range and color gamut. It is considered to be a high modern standard and is used mainly by the suppliers of premium video content. It features a more detailed frame-by-frame picture both in bright and dark colors. Means High-Bandwidth Digital Content Protection, a version of the content protection technology designed to protect data from illegal copying. In order to play the content that is coded by this protocol, all the devices involved must be compliant with it, including an AV receiver. It stands for “High Definition Multimedia Interface Audio Return Signal” and spares you the necessity of using another cable for hearing the TV-produced audio (e.g. the video streamed through apps like Youtube, Netflix, etc.). It is a technology than enables obtaining photorealistic pictures in the High Dynamic Range (here comes the abbreviation). This technology enables a high level of contrast preserving the details in both the dark and light parts of the picture. The colors are diverse and deeper. This results in more precise graphics. In order to play the HDR content (and there are different versions too), your AV receiver must support the currently used version. Wide color gamut (no less than 90% according to DCI-P3 standard). Colour depth of 10 bit and more. This is a popular format used in many modern TV sets. Most of the receivers reviewed in our nominations are HDR-compatible. Here you can pick the models described in the nominations above and compare them head to head. 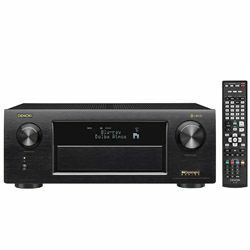 Thus you can analyze the specifications and study the comprehensive home theater receiver reviews, check the pros and cons and finally, go ahead with purchasing the super fit AV receiver for your home theater or your stereo system.